Michelin has provided five pairs of tickets to the Goodwood Festival of Speed on Saturday July 1 2017, along with five pairs for the Goodwood Revival on Saturday September 9 2017. A picnic hamper will be provided with each pair of tickets too, for collection on the day. The Festival of Speed tickets have an RRP of £67 each, while Revival tickets have an RRP of £76. The hampers have an RRP of £69. 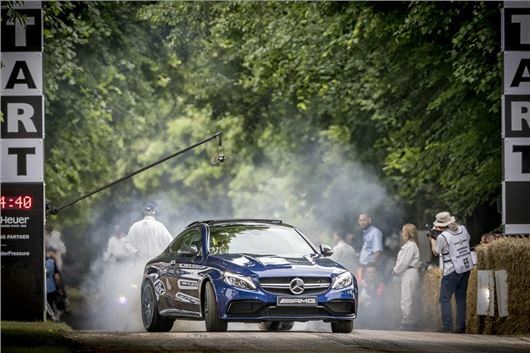 The Goodwood Festival of Speed celebrates everything exciting about cars, motorcycles and motorsport. In 2017 it will be held from June 29 to July 2 and celebrates "Peaks of Performance - Motorsport's Game Changers." - so expect to see some of the most radical racing machines ever tackling the famous hill climb. The Goodwood revival, meanwhile, celebrates the history of motorsport in a different way - with period cars competing on the Goodwood circuit. Uniquely the entire event is celebrated in period costume, with attendees encourage to dress up and relive the glory days. Our 10 competition winners will be given the option of which tickets (Festival of Speed or Revival) they would like most, but they will be allocated on a first come, first served basis.